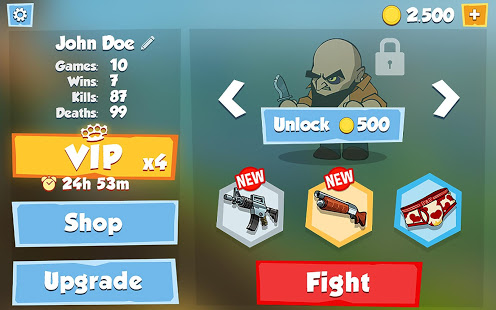 With an exciting roster of 8 characters, 5 weapons and 10+ supporting items you have everything to master your strategy and skills! 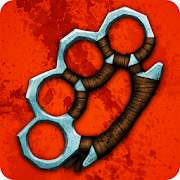 Become #1 in prison brawls! 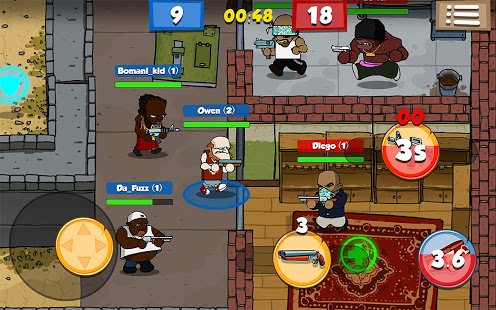 - Engaging PvP battles: enjoy the adrenaline-filled team-based online battleground. - Easy and intuitive controls: have fun from the start. - Stylish graphics: amusing 2D art. - Regular updates: with new content and features added frequently you’ll never get bored. 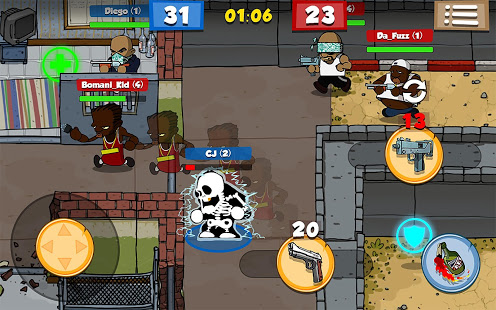 Prison Brawls is a competitive multiplayer 2D shooter with funny art style and gripping gameplay. Engage in the online PvP battles with a variety of weapons, supporting items and boosters. Get the unique 2D shooter experience with fast-paced matches that last less than 5 minutes. This game takes no prisoners!